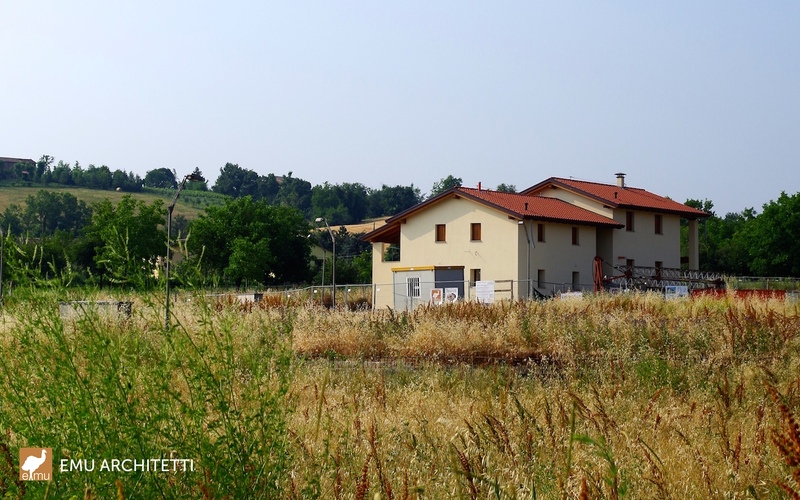 Single-family new construction in Albinea (RE), Italy, certified Class A by CasaClima Agency for high energy efficiency. 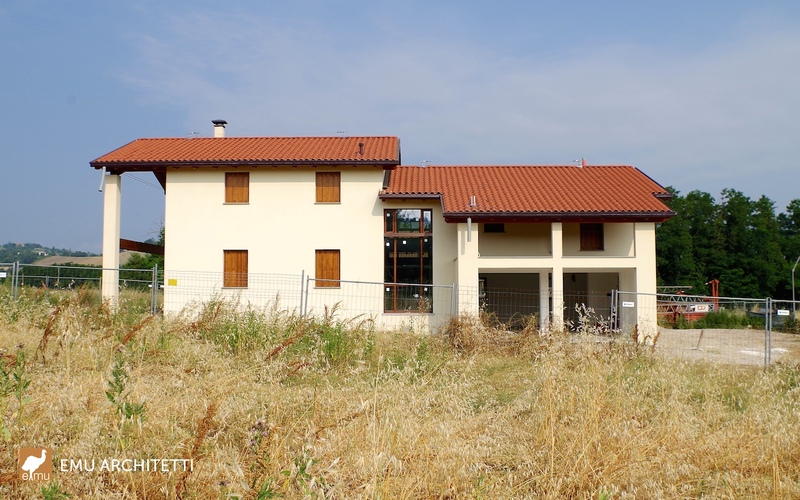 This single-family home was designed as part of an existing development plan near Albinea (in the province of Reggio Emilia), for which there were prescribed traditional design guidelines imposed. The architectural form, therefore, references a traditional Emilian farmhouse with a central “porta morta” area that acts as the entrance and stairwell. The color palette blends in with the surrounding hay fields, and the rear of the house offers decks and balconies overlooking the hills of the Reggiano Apennines. 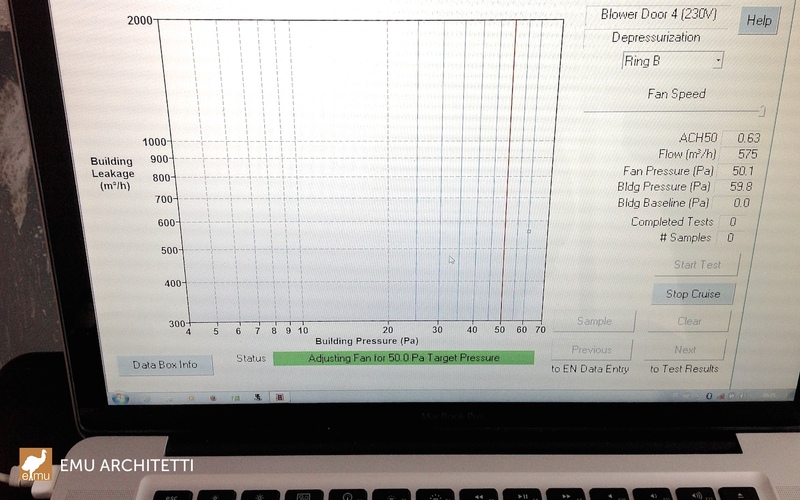 Our challenge was to focus on the efficiency of the building envelope, without changing the orientation of the building. Despite the fact that the shorter side of the house is facing South and through careful design calculations and testing during construction, we were able to achieve Class A in the CasaClima rating scheme, one of the highest Italian certifications available. This project is a joint development with our sister company, Roverella SRL, and is now for sale (see listing on Immobiliare.it).